If you're thinking about going into the legal field, it's a good idea to make sure you understand the different tasks and job functions that fall within the scope of an accurate career description for a lawyer. If your ideas about what is involved in working as an attorney are based on what you've seen in the movies and on television, there's a good chance that you don't really have an accurate picture of what's involved in the day to day job duties of a lawyer. Most attorneys spend much more time outside of a courtroom than they do arguing cases in front of a judge and jury. There are opportunities for lawyers to work in a variety of different settings. Some lawyers work in private practice, either as self-employed attorneys or as associates or partners in large law firms. Many attorneys also work for large companies, as corporate staff legal counsel. Additional employment sites for lawyers include: city, county, state, and federal law enforcement; government agencies; and legal aid societies. Regardless of the employment setting, the career description for a lawyer involves providing legal advice and counsel, as well as participating in litigation activities when necessary. Even though many people think that practicing attorneys spend a majority of their time in court, it's a fact that many of the activities attorneys engage in on behalf of their clients or employers are designed to keep legal proceedings from advancing to the level of having to be heard in court. Attorneys perform a wide variety of tasks on a daily basis, depending on what their clients or employers need at any particular point in time. Lawyers spend a great deal of time completing paperwork and poring over legal publications and legislation. Many attorneys spend time conducting investigations, interviewing witnesses, researching past legal cases, drawing up and reviewing legal contracts. 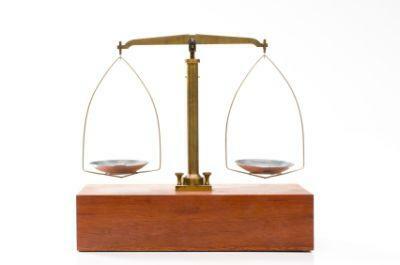 In some cases, attorneys who own small firms may have general law practice. It's more common, however, for lawyers to specialize in a particular aspect of the law. Attorneys typically specialize in either civil or criminal law. Those who specialize in civil law may further concentrate their focus on particular types of issues, such as: employment law, divorce proceedings, taxation matters, and more. 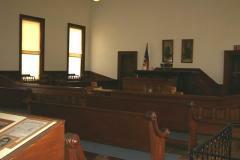 Those who specialize in criminal law often concentrate their practice on representing either plaintiffs or defendants. If you're interested in becoming a lawyer, you'll first need to graduate from law school and pass the Bar exam in the state (or states) where you plan to practice law. Prior to being admitted to law school, you'll need to earn a Bachelor's degree and sit for the Law School Admission Test (LSAT) exam. Some individuals pursue pre-Law degrees in preparation for law school, but this is not necessary. People enter law school after earning undergraduate degrees in a wide variety of fields, including history, political science, business, communication, and many other programs of study. Law school admission is based on a wide variety of variables, including LSAT scores, undergraduate grade point average, application essay quality, references, and other factors. The top law schools typically receive many more applications than they are able to accept each term, and seeking acceptance can be quite competitive. Law school itself is an intense training experience that requires a significant amount of coursework and study. It typically takes three years of full-time study to complete the required coursework. Most students spend time during their law school years interning for a law firm or working as a court clerk in order to get hands-on experience in the field. Upon graduation from law school, before you're able to practice law, you'll have to pass the Bar exam. Once you've done this, you'll be eligible for state licensure, which will qualify your enter the practice of law and work as a professional attorney. When you're ready to enter the workforce as a licensed attorney you'll find yourself faced with the task of finding employment. Keep in mind that attorney employment agencies can be a valuable resource for individuals seeking employment in the legal field. Whether you're applying to work for a law firm, in corporate law, or in law enforcement, you'll need to be able to demonstrate that you have the skills employers look for in new attorneys. Make sure you are able to demonstrate to prospective employers that you understand the basic career description for a lawyer.